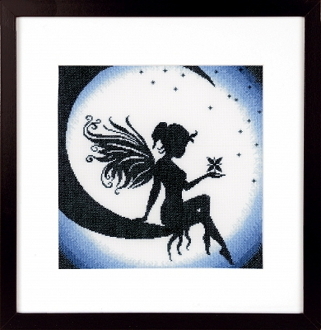 An andorable counted cross stitch kit by Lanarte. Features a Fairy sitting on the Moon. Design size: 9.6"w x 9.6"h (24cm x 24cm). 100% Cotton 18 count Aida fabric, 100% cotton threads, needle and instructions.